Now want to be covered by Medicare. Federal employees have an unusual situation as they can continue to participate in the Federal Employees Health Benefits (FEHB) Program into retirement without being required to sign up for Medicare. As a result, while the majority of Federal retirees choose to take both FEHB and Medicare Part B when they become eligible, that leaves thousands of retirees without Medicare coverage, a decision they sometimes regret later. In contrast to the Federal sector, many private employer-sponsored health plans are dropping retiree coverage altogether or requiring retirees to sign up for Part B in order to maintain their retiree health insurance, so most private sector retirees sign up for Medicare Part B when they turn age 65. 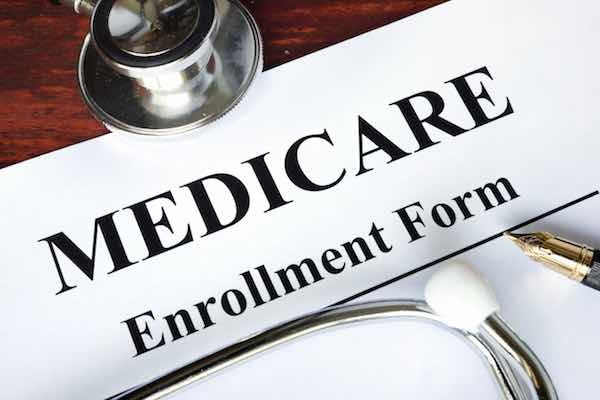 During the Medicare General Enrollment Period, which occurs annually between January 1 and March 31, individuals who passed up their initial opportunity to enroll in Medicare have a second opportunity to enroll. Those enrolling during the General Enrollment Period will see Medicare Part B coverage begin July 1. In addition, most likely they will have to pay a late enrollment penalty. If you don’t sign up for Part B when you’re first eligible, you’ll have to pay a late enrollment penalty. You’ll have to pay this penalty for as long as you have Part B. Your monthly premium for Part B may go up 10% for each full 12-month period that you could have had Part B, but didn’t sign up for it. For Federal retirees who have only FEHB coverage, their health plan provides their primary coverage. For retirees covered by FEHB and Medicare, Medicare is the primary insurer and FEHB provides secondary coverage. Retirees were healthy at the time of their Medicare Initial Enrollment Period and chose to decline the coverage to avoid having to pay the Part B premiums. Later, deteriorating health brings additional costs so that the Part B premium looks less expensive when compared to increasing medical costs for chronic illnesses. Retirees drop FEHB coverage because of its cost and now need health insurance. Note: Once a Federal retiree cancels their FEHB enrollment, it is very unlikely they will ever be allowed back into the FEHB Program. The cost of Part B premiums can be partially offset in certain FEHB plans that waive deductibles, copayments, and coinsurance if Medicare is the primary payer of your health costs. Some FEHB plans are now offering to reimburse at least part of the cost of Part B premiums to encourage retirees to sign up. While you cannot change FEHB plans until next fall, it is worth checking to see which FEHB plans may reimburse you for at least part of your Part B premiums. Last year, a U.S. House of Representatives committee considered a plan to make Medicare Part B mandatory for Postal retirees. Some advocates for Federal retirees feared that if the bill passed, it would pave the way to making Medicare Part B for all Federal retirees. That bill, H.R. 756, may still be considered by Congress later this year even though its chief House sponsor, Jason Chaffetz, is no longer in Congress. Even if Medicare coverage never becomes mandatory for Federal retirees, many retirees still decide that signing up for Medicare would be advantageous for them. If they declined Medicare coverage during their Initial Enrollment Period, they have until March 31 to make that decision for 2018. More information on enrolling in Medicare is available at https://www.ssa.gov/benefits/medicare/.